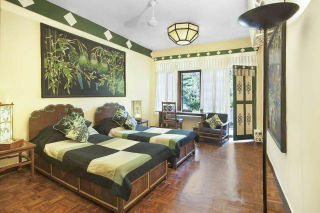 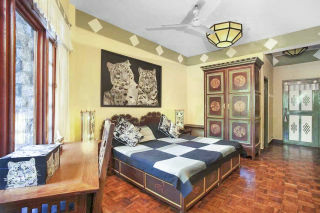 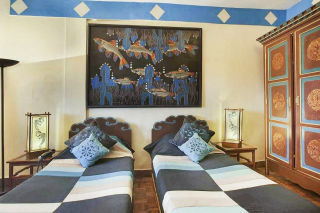 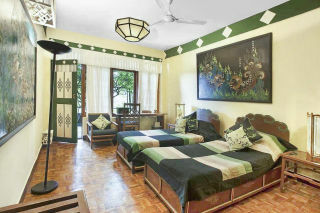 This delightful boutique room has been themed on a Tibetan animal, with the furniture being lovingly handcrafted. 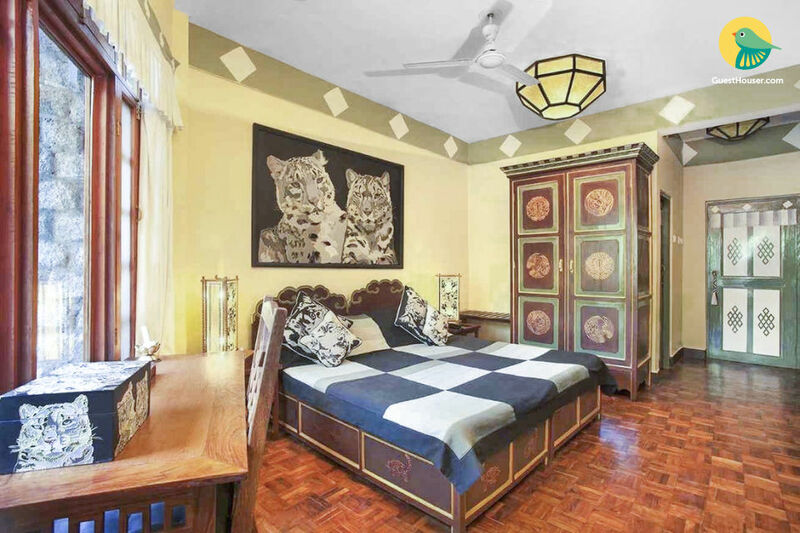 The main head wall boasts a large painting of an animal, the wardrobe is decorated with Tibetan motifs, bamboo lamps on the side tables add soothing ambient lighting to the space. 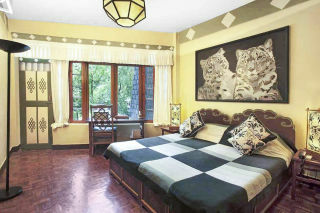 The writing table and chair also boast handcrafted Tibetan motifs carved into the wood, while earthy colours add to the overall theme. 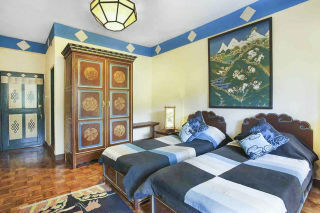 Staying here is sure to transport you into the world of ethnic Tibetan people! 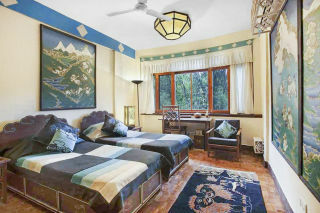 The place is located within the Norbulingka grounds, and is surrounded by lush gardens and flowing streams.